How often does a piece of architecture transport you across time? On the 58th day of my journey, I visited the legendary Space Needle in Seattle. And seeing the tower, along with the monorail nearby, put me in a decidedly futuristic mood. 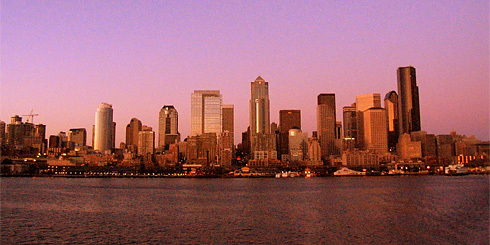 As you’ll soon see, its futuristic shape towers above the Seattle in stark contrast to its surrounding environment. 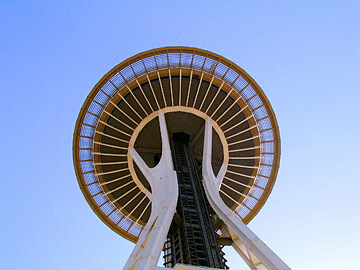 The Space Needle’s striking design has led it to world fame, and it has become a symbol of the Northwestern United States. Yet it will surprise you to learn that the most incredible aspect of the Space Needle isn’t its height — even though, at over 184 meters (605 ft), its height is impressive. Nor is it the fact that the tower can withstand winds up of up to 320 km/h (200 mph). Nor is it the “shocking” fact that it has 25 lightning rods atop its saucer section. 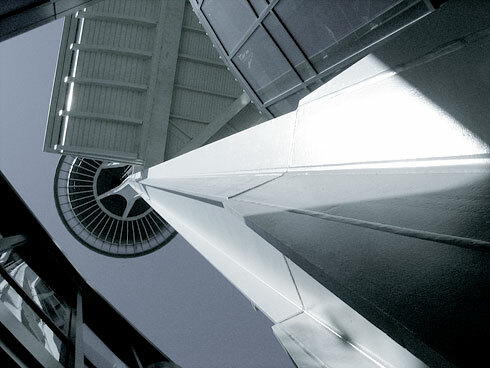 The most incredible aspect of the Space Needle was that it was built in under a year by construction teams working around the clock, only to be completed just in time for the 1962 World’s Fair. And when I say just in time, I really mean just in time. They installed the last elevator car the day before the fair began on April 21, 1962. 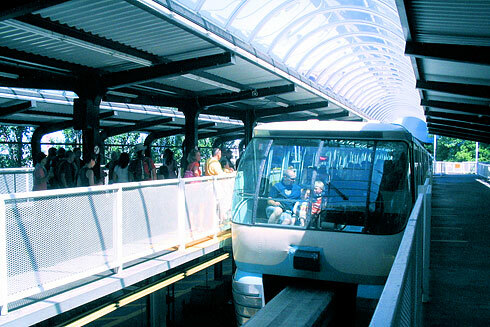 During that time, nearly 20,000 people used its elevators per day! 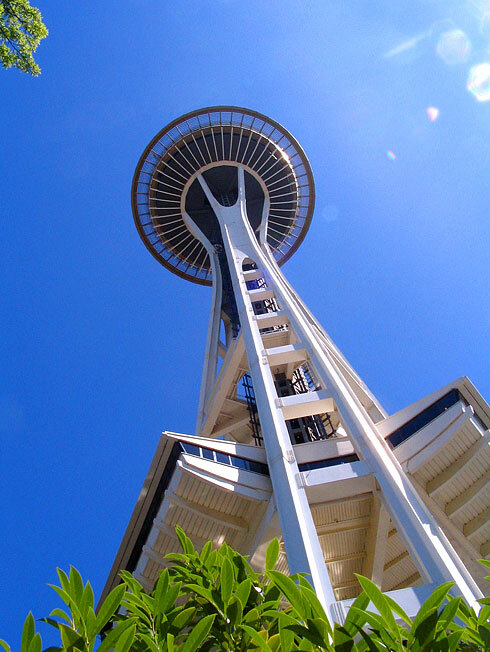 The Space Needle has remained a striking example of modern architecture since. And when I visited the Space Needle, I was pleased at how photogenic it was. So today I’m doing a little experiment. I’m going to try out a new article format today which I call a “photo essay” article. This basically means I explain what you’re going to see, and then put a series of very large photos at the end of the article. I’ve published a few photo essays in the past in which the text alternated with the photos, but today I’m trying something different. If I get positive feedback from this experiment, I’ll publish photos in this format more in the future. I really enjoyed photographing this modern marvel of human ingenuity; and later that day, I briefly hopped on a ferry and was able to take some photos from the Puget Sound, so I’ve included those as well. It’s architecture all around, today! Please let me know what you think of this format in the comments. ~ Ron Sims, King County Exec. Oh, and before I forget. Marco followed me that day just as he did all of the previous days since Denver. I know. Big surprise, right? If you’re new to the “Where’s Marco” game, read this first. He found some clever places to hide this time, but rest assured he’s easy enough to spot if you give yourself some time. All photos from this event are in the Space Needle & Skyline Sunset album. All photos in the Gallery can be used as desktop wallpapers because they are high resolution (1920×1440). Being for the first time to your blog I can’t say if this kind of posts are better then the other (although I will make sure to read some of the others too), but I want to say that I like them. Also, not being an american everytime I see the Space needle I think of Man in black and the fact that the top of the needle was a spaceship. Oh as for Marco, is he in the last picture (the one with the sunset), to the far left in the mountains? Was he hiking or something ? Sometimes Marco hikes, sometimes he goes spelunking, and sometimes he seems to fly; but Marco is indeed in *every* photo. And yes, he’s at the far left side of the last photo. Great job, Alex! So did you find him in all of the Space Needle photos? 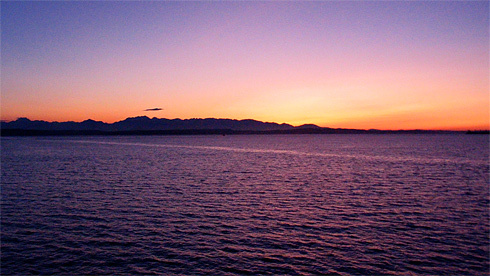 I found your blog through motravels.com and was pleasantly surprised your post was about Seattle! I’m going there for the first time in a few weeks, with my mom and my daughter. Really enjoyed your photos and I can’t wait to go! Glad you enjoyed my glimpses into Seattle! It has a lot to offer and I hope you enjoy it. 🙂 And thanks for telling me how you found BT. It’s helpful to know that information.